New School Start Times in Mont. Co.
Monday marks the first day of school for students in Montgomery County, Charles County, and several school districts in Virginia. 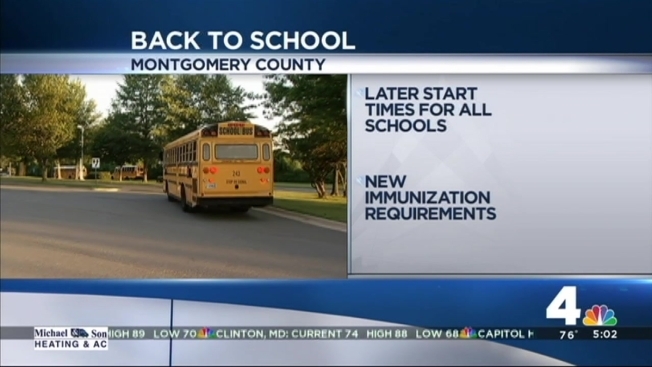 More than 156,000 students are expected to enroll in Montgomery County schools this year, one of the 20 largest school systems in the nation. Interim Superintendent Larry Bowers, County Executive Isiah Leggett and other officials will talk about the growing enrollment and the school system's priorities for the year at a news conference Monday morning. They will speak at Wheaton Woods Elementary School in Rockville. Meanwhile, students in Charles County, Maryland, will see a change to their calendar this year. Monday marks the start of another school year for students in Prince William County. This year, the district built more snow days into the calendar by shortening spring break. Charles County will also have free breakfast for all students next week to celebrate the growth of the free breakfast program over the last five years. 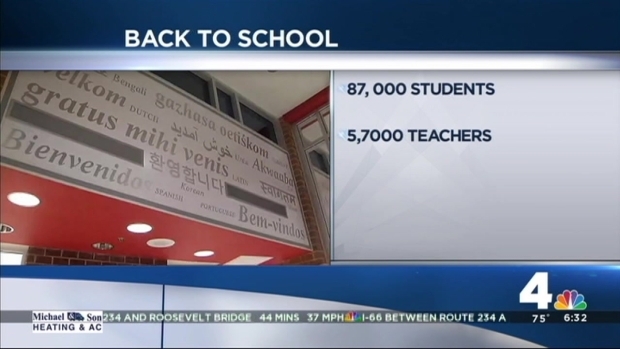 In Virginia, 73,000 students will be back in class in Loudoun County, and here's a change some high school students may like: They will not have to take midterms or finals this year. Snow days from back-to-back stormy winters cancelled the tests the past two years. Loudoun County administrators will also open Riverside High School for the first time. Additionally, some elementary students in Prince William County will start the year in a brand-new school. Chris Yung Elementary School is named for a Prince William County police officer who died in an accident while on duty three years ago. The new school, located in Bristow, features a STEAM program. STEAM stands for science, technology, engineering, art and math. "The goal is for children to learn those 21st century skills such as collaboration communication critical thinking problem solving," said Kathy Notyce, the principal of Chris Yung Elementary School.